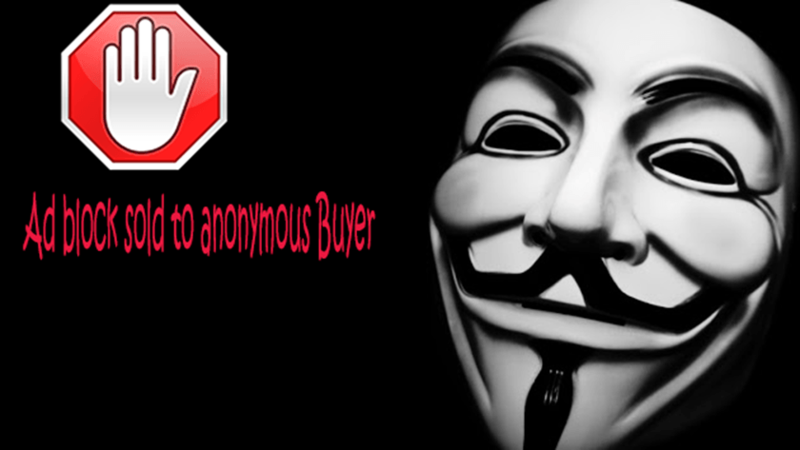 Do you want to learn Hacking ?? If you are here it means you want. So I think this is the right time to do something with Kali Linux after successful installation .Let’s start how to install Kali without any pre-knowledge and without any problem. We are just taking out few simple steps for installation .First you’ll need a compatible Computer Hardware. Kali support i386, amd64, ARM architecture . Both i386 (32-bit ) and amd64 (64-bit) .Installation are same in almost all cases but in ARM it is little bit different from 32-bit and 64-bit because it is a low configured Hardware. We will install Kali Linux alongside with Windows 8.1, where windows already has taking 100% of the disk space in our computer. We will resize our current windows partition and then proceed to install Kali Linux in a newly created partition which should be empty. Download Kali Linux form its official website. Now either burn ISO to DVD or prepare a USB as the installation medium or another option is by using network installation. At lest Dual-Core (either intel or AMD) with minimum 1GB of RAM. Download Kali Linux (According to your Hardware Support). Here we write the Procedure to Install Kali Linux . We refer USB drive because it is easy to write and much faster then DVD . 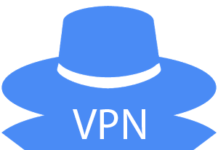 Download Universal Installer and run it from here . 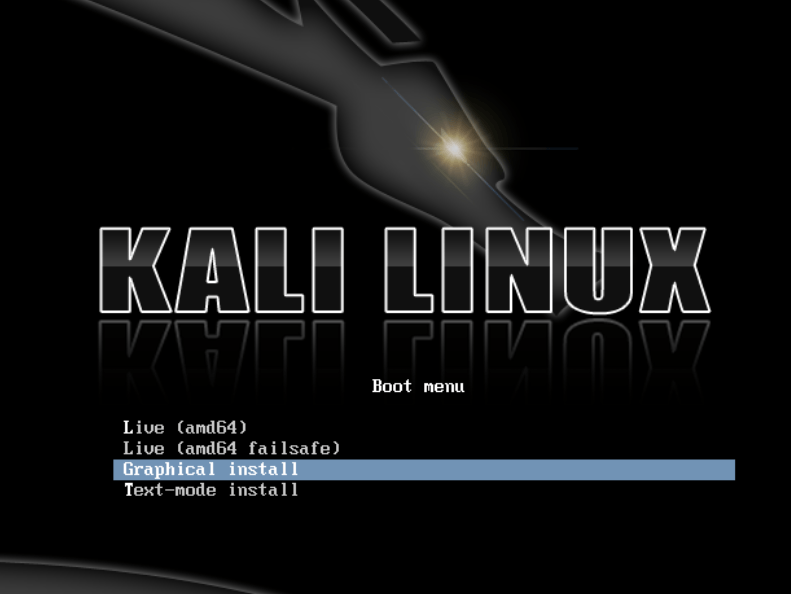 Select Kali Linux on 1st Drop-down menu(step 1). 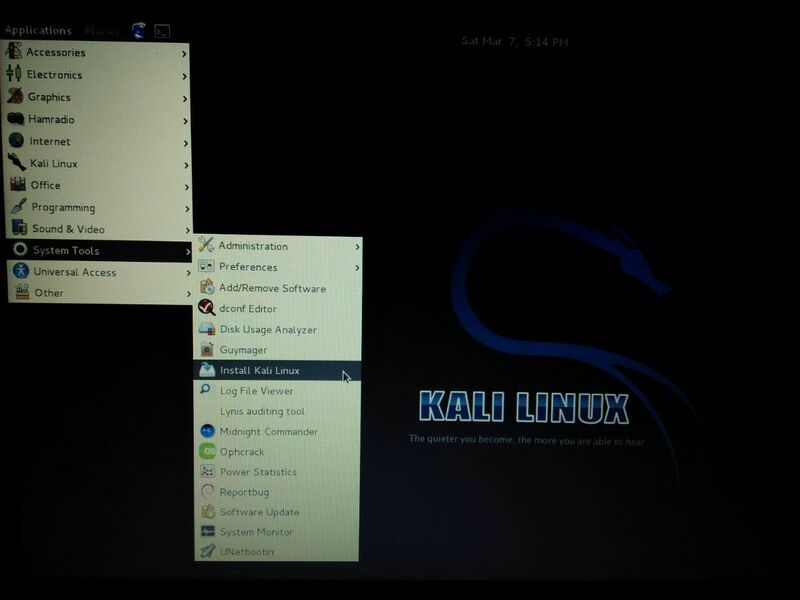 Browse your Kali Linux iso file where you Downloaded it on your hard disk. 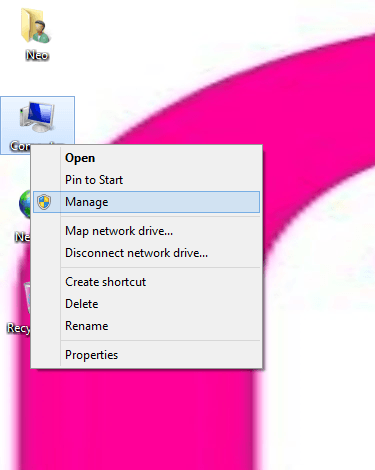 Check to Box(Now Showing All Driver) if your USB not visible on Drop-down menu. Check to format USB disk as shown in fig below. After done the all above procedure click on Create button to initiate the process to copy Kali LInux to USB Disk by making bootable. 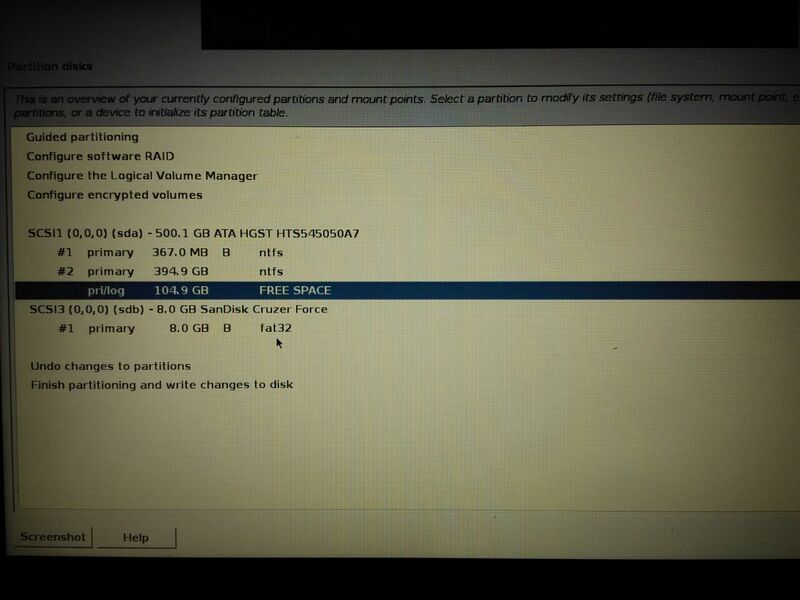 For Dual Boot installation use Windows Partition manager or Gpartition ,it’s steps are shown below. Click on Manage option as shown in fig. below. Go to Storage>Disk Management using left side Explore Panel. 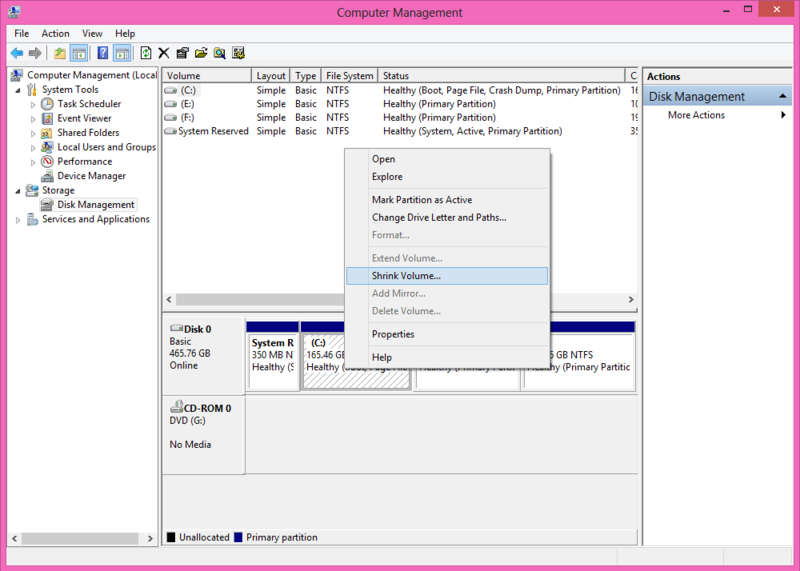 Double Click On Drive (C:) select Shrink Volume option. Shrink You windows Partition according to your usage . Here we Shrink 60GB for Kali Linux (Strongly Recommended Shrink Above 20GB). Here in the image below you can see a unallocated space of 58.59GB(Shrinked space), it may be differ in your case. It is the best way to install Kali Linux without any extra effort . 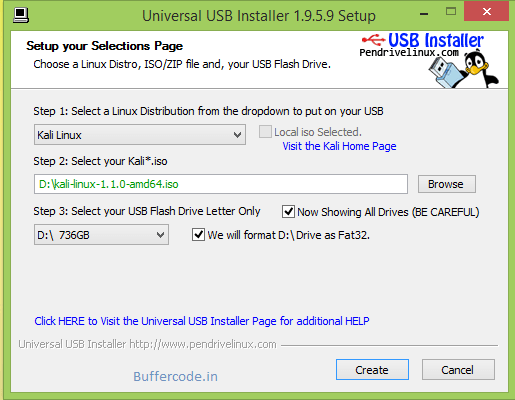 Plug your USB Disk or Pen-drive having Kali Linux after universal installer process. 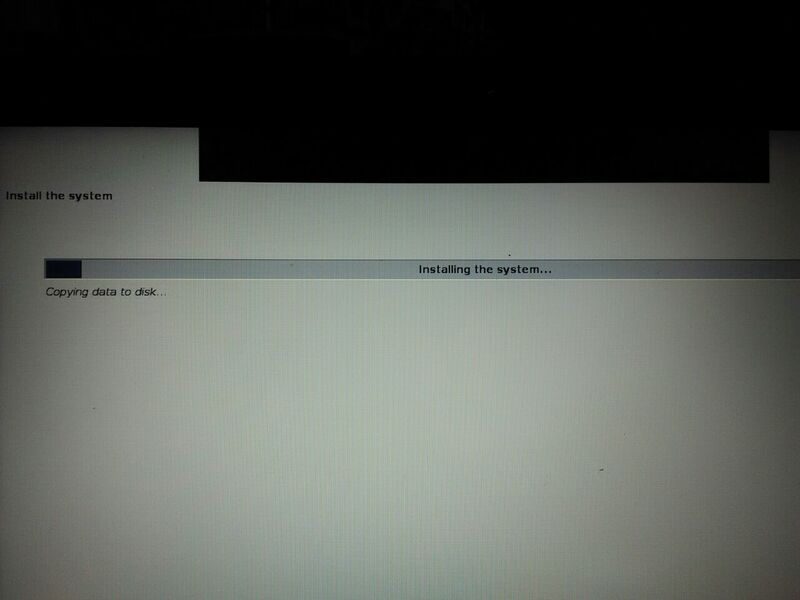 Restart your PC and Ensure that your computer is set to boot from CD / USB in your BIOS. Take Boot from USB Disk or Pen-drive. 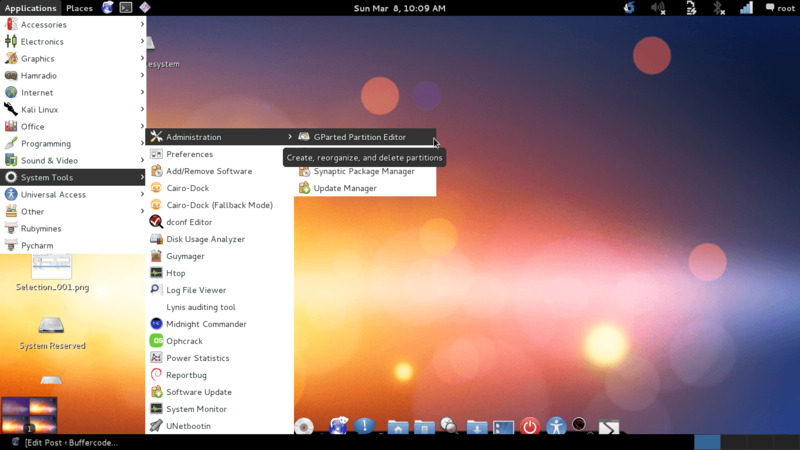 After running Live Kali LInux , go to System Tools>Administration>GParted Partition Editor and Run it (As shown in image). 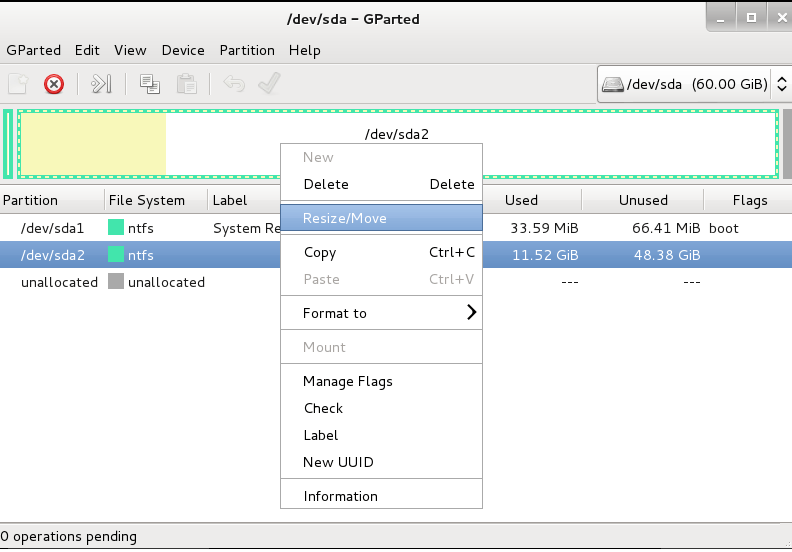 Resize your windows Partition according to your disk Space and click the Green Check Button below the menu bar on GParted to done(save) this operation.The New partition you have been made from previous one that can be unallocated (Note: Don’t format it). Here i choose different System to show how to resize windows disk to create new partition. After Following each step as described above you will able to create new partition. But if anyone not able to create a new partition for Kali Linux , you must be ensure that you have only two partition before resize because in a single hard disk you can create max 4-Partation . Note: Max of 4 partition on single hard disk is allowed. 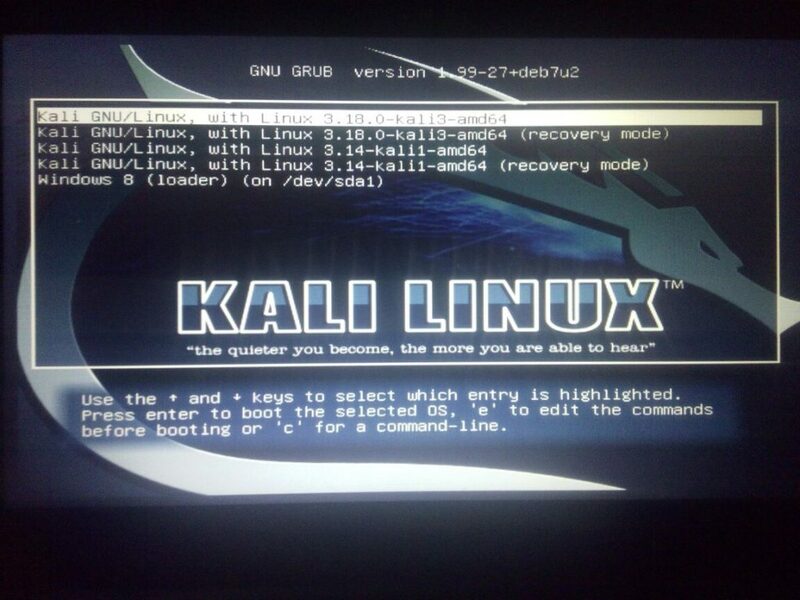 I hope now you will not get any difficulty in making partition.So now we should move towards our next step of Complete Guidance to Install Kali linux in Dual Boot Mode without any Problem . Before install Kali Linux we recommend to run it live .Why ?? Because if you run install mode without running it Live some time Wi-Fi connection create problem ,if Wi-Fi is not connected you would not able to install Kali Linux ,because it will download some important package from its server. 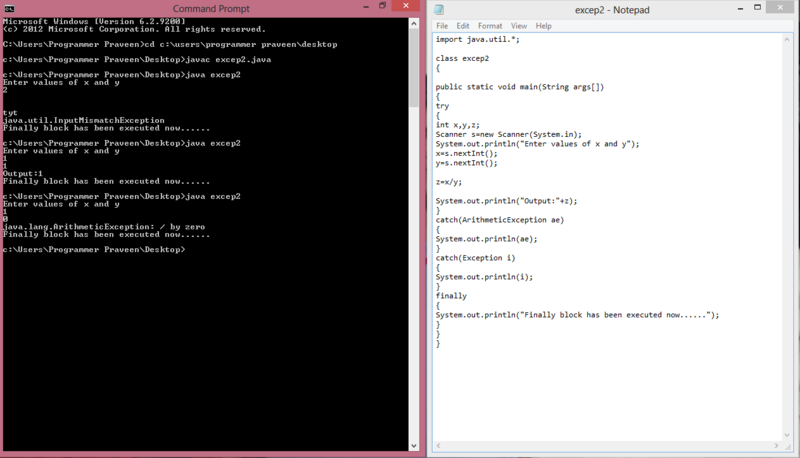 Select Manual, Partitioning method. if you choose other one some time installation will fail . You should now see windows NTFS partition, the first two partition are for windows 8.1. 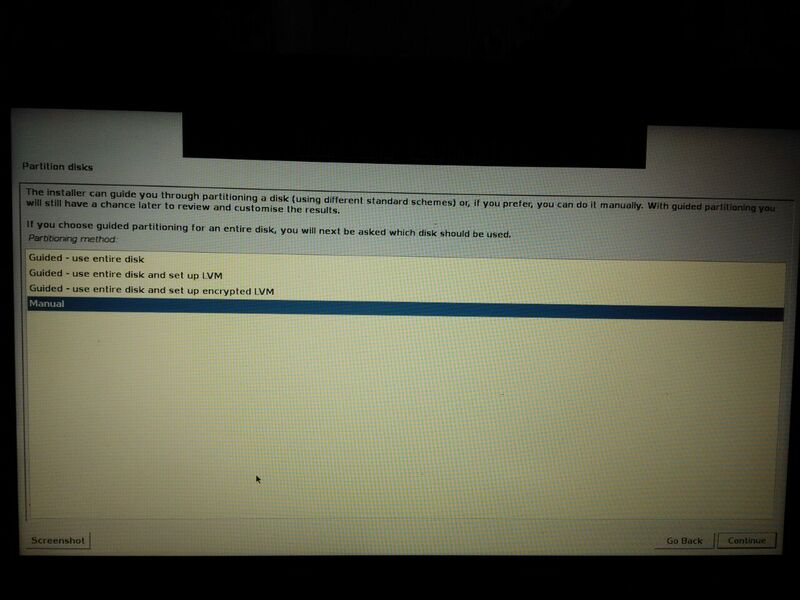 Partition #1 is the EFI system partition,while partition #2 is C:\ Drive .Below that is an unallocated partition or space that was recovered from C:\ Drive.Let’s install Kali Linux on that free Partition. Click and Enter on that partition. 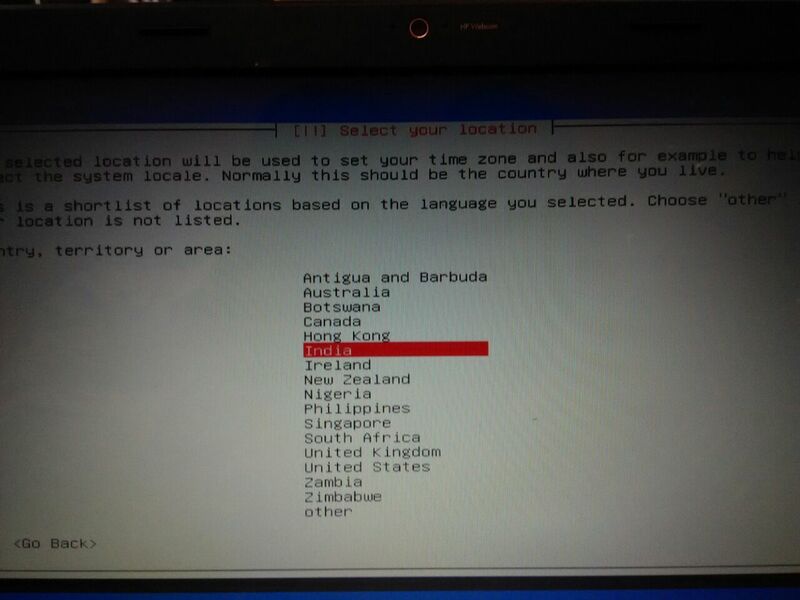 Select Automatically partition the free space. Now you will decided how many partition the installer should create. If you choose First option the installer will create just two partitions First one is root partition and Second one is swap partition or Space the first option is recommended for new users. If you want to your home directory on a separate partition ,select the second option (Separate /home partition). If you want to create separate partition for different directory select third option( separate /home , /usr, /var and /temp partitions). Choose any option for your convenient. 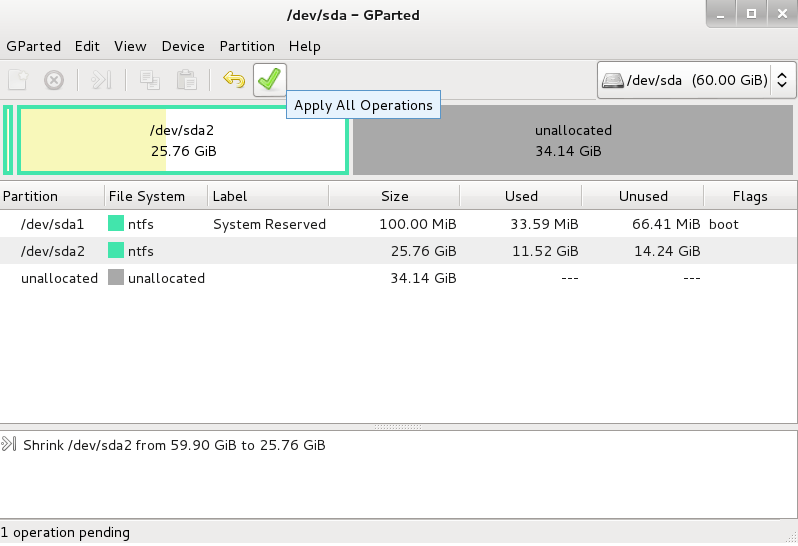 We select third option to create separate partition for different directory. 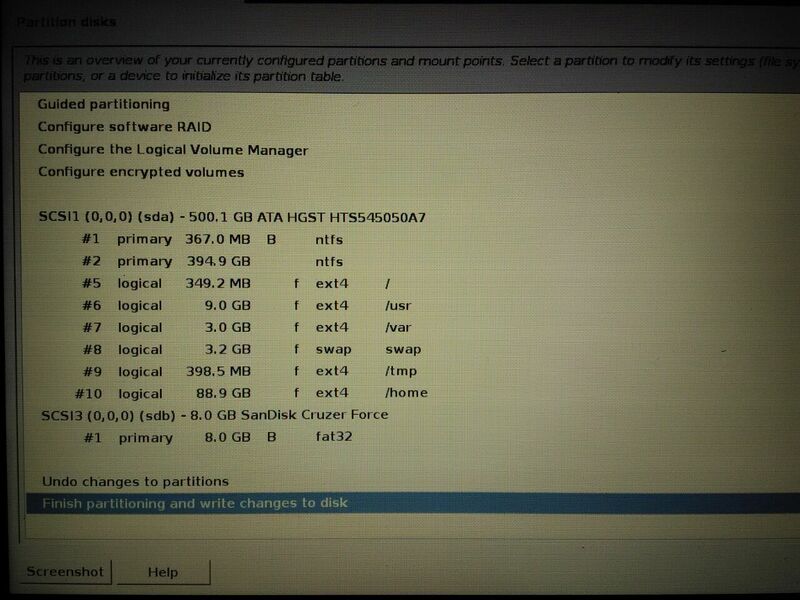 You can see Kali Linux installer create different partition for different directory. 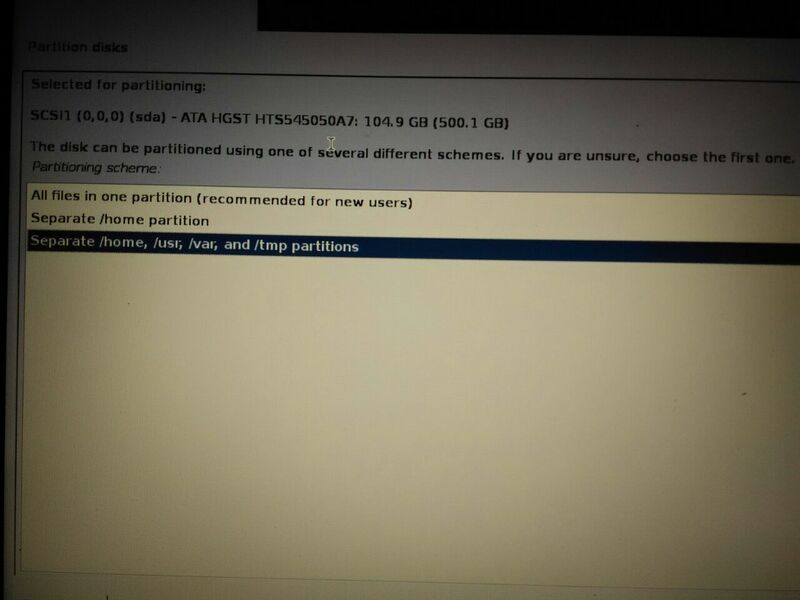 If you select 2nd option installer will create three partitions root ,swap and home partition.After creating partitions, select Finish partitioning and write the changes to disk. Once the installation procedure complete, Kali installer will ask to set up root password .Remember the root password you enter because after the all procedure will be completed it will ask username and password at a Login time. 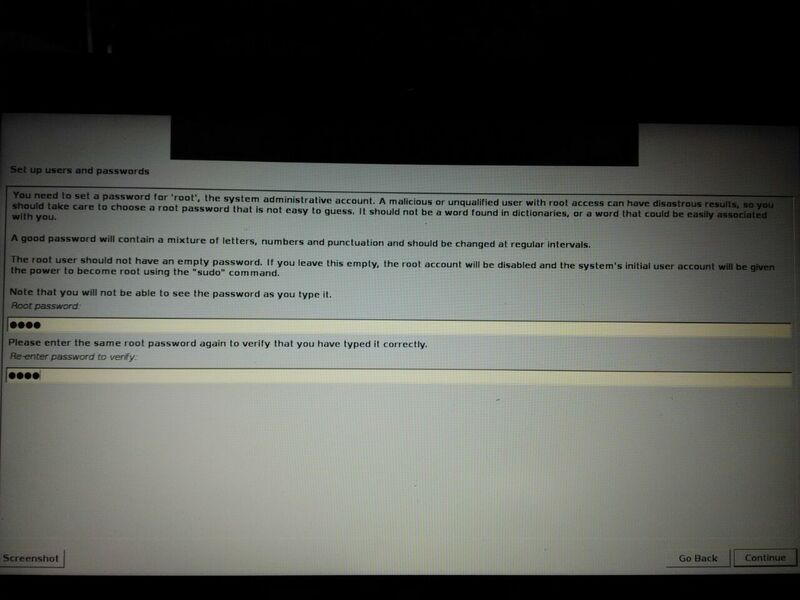 Now just restart your computer and a screen as shown in below image will apear on your screen .Select Kali GNU/Linux(1st Option ) from the given options to start kali and select windows 8(loader) to start window . 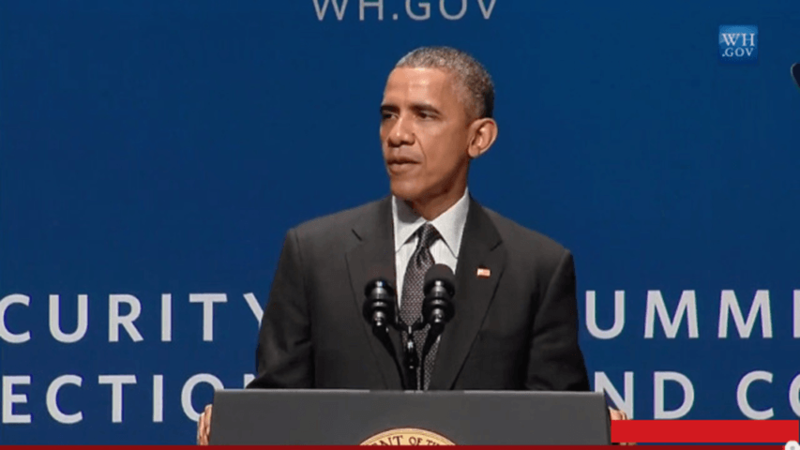 Wooooooooo Now you are into the best O.S for penetration testing . Have something to add or stuck somewhere?? Please share/ask in comments. Previous articleLava Iris Fuel 20 comes with 4400 mAh battery at INR 5399. Next articleMicromax YU Yureka will receive Lollipop 5.0 soon!